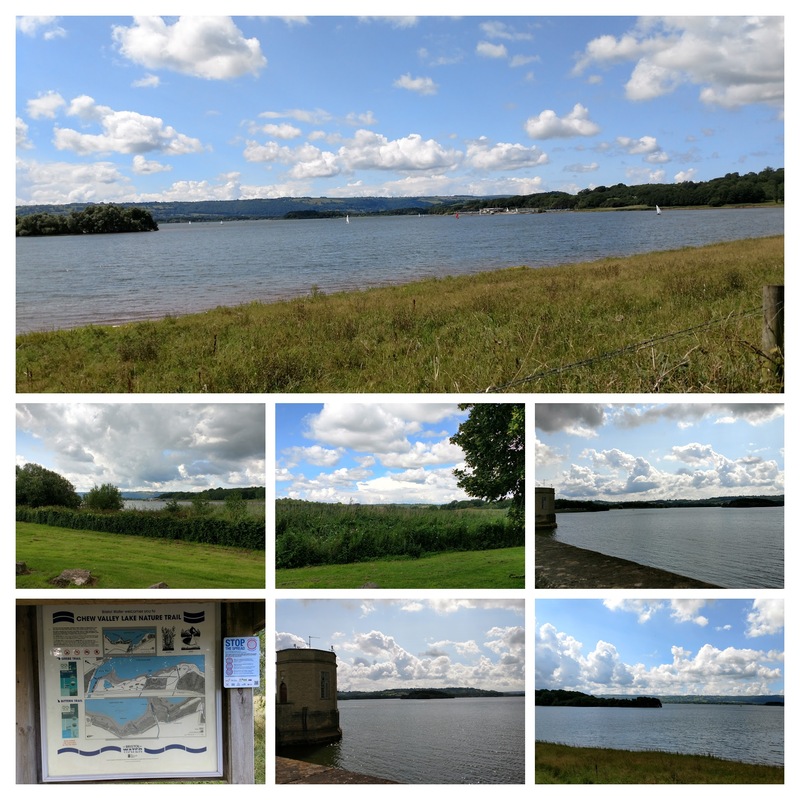 Thankfully the weather held out. but having to get back to help Mrs. SF with the afternoon dog walk with our two plus other doggie boarders) to meet my nephew to give him his birthday present (a bottle of Fonseca port from his birth year – not declared but not bad – he will probably hate it, but I live in hope) a couple of places sprung to mind, including the Redan Inn (a place my sister raves about and as such somewhere I am keen to try, but which was regrettably booked out for a wedding function on the day in question). 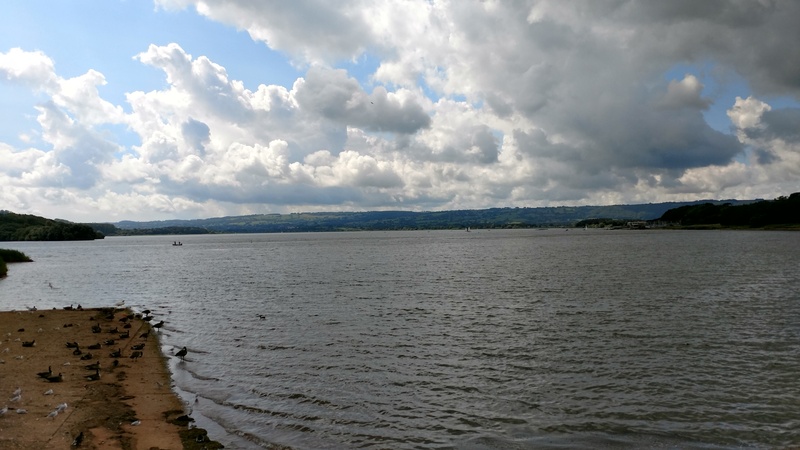 We (me and his mother – my sister) settled on Salt & Malt, a café specialising in fish and chips on the shores of the lovely Chew Valley Lake, which is co-owned by chef Josh Eggleton – the chef and co-owner of the very classy Michelin starred Pony &Trap. 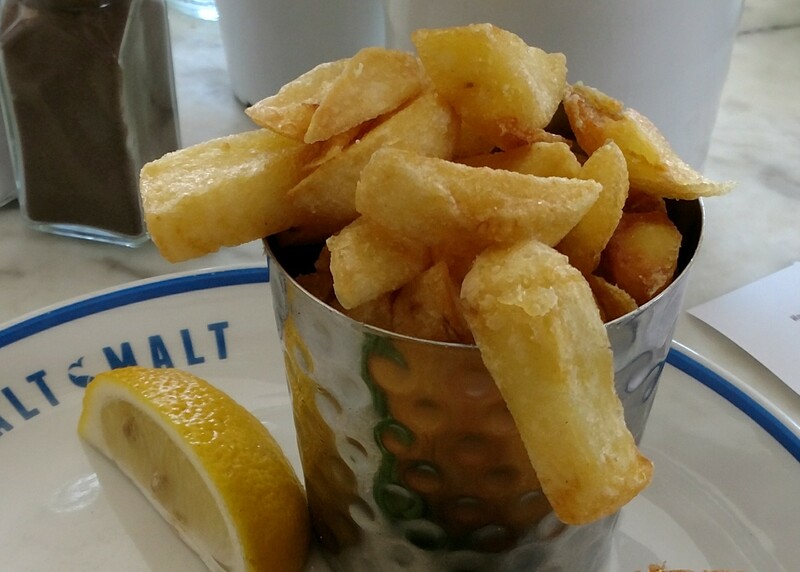 Our logic was, when a Michelin starred chef does fish and chips it is likely to be pretty darn good fish and chips. 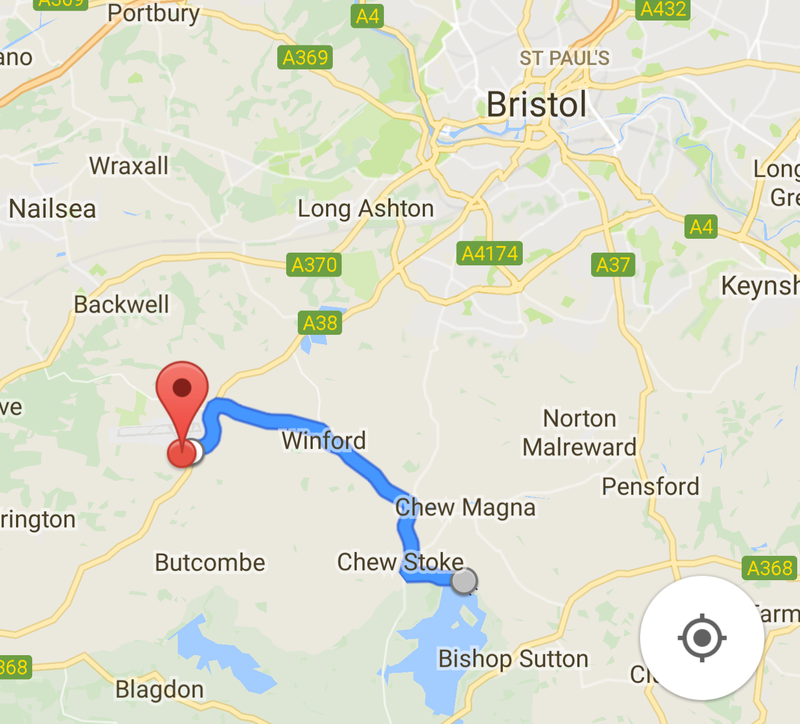 Add to that the lakeside location and proximity to Bristol and we surmised we would be on to a winner. It is fair to say it is a lovely setting, looking over beautiful countryside down to the lake. 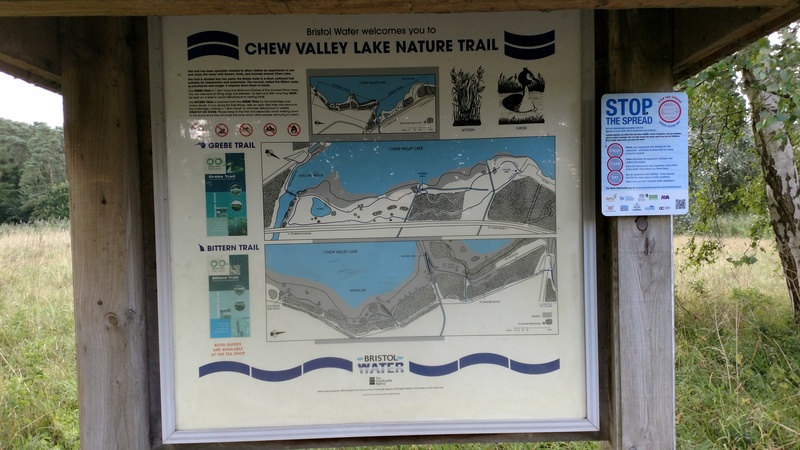 There are some nice looking walks around the lake if you are looking to work up an appetite or work off your lunch. Could have sworn one of those ducks just disappeared!!!). From the outside it is not the most asthetically pleasing of buildings, with the look of a residential bungalow. Inside it is much more easy on the eye with a somewhat New England style. Lots of whitewashed pine. 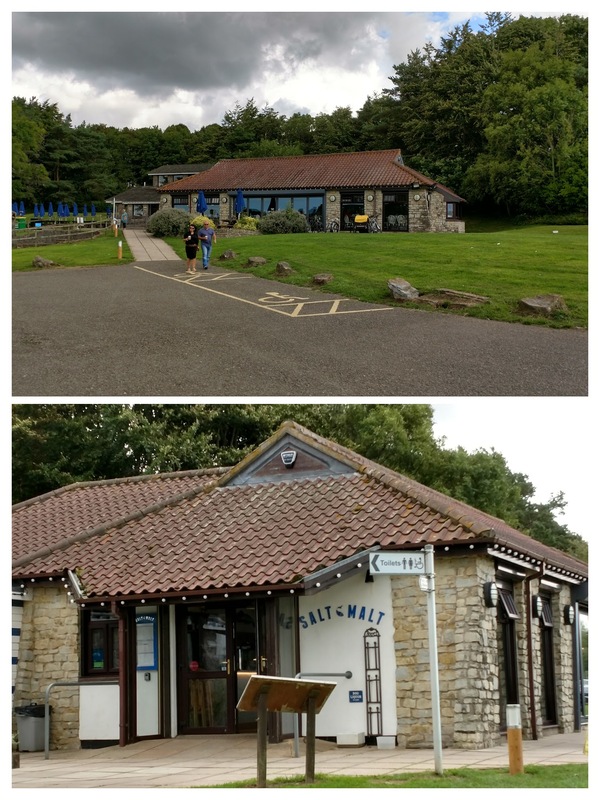 It still very much has a café rather than restaurant feel to it though. On a sunny day bi-folding doors can be opened up – which would be very nice I would surmise. Alas the day of our visit was not warm enough to warrant them being opened. What I really like about the place is their focus on using local suppliers. 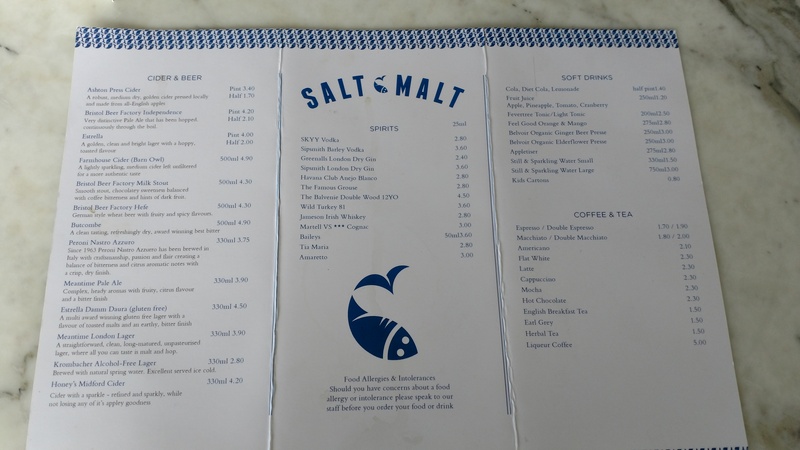 Fish is delivered daily from Flying Fish Seafoods (generally line caught and from Cornish day boats rather than behemoth factory trawlers), meat is from the “just down the road” Blagdon Butchers and the smoked stuff from Valley Smokehouse (also a mere stone’s throw up the road). The veggies are, all locally sourced, from the commendable Severn Project. It is also great that they use British rapeseed oil in their fryers rather than the far from environmentally friendly palm oil (wish my local chippy, Fintans, would follow suit). On the booze front, beers include some from the very good and local Butcombe brewery (a favourite of mine from my days growing up in Somerset and visits back there to see family). So it is fair to say this place has excellent provenance and sustainability credentials. I am no eco warrior, but l think local sourcing is just a sensible thing to do. The menu is split between breakfast/lunch and dinner offerings, with the latter offering a more snazzy selection. 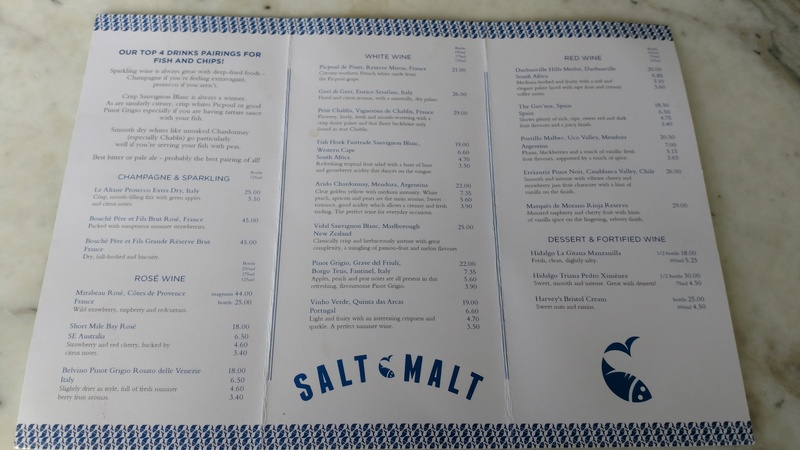 On the dinner menu, the starters particularly appealed (love the sound of the salt cod saffron fritters and I am a huge fan of potted brown shrimps). although both meat and fish are on offer. 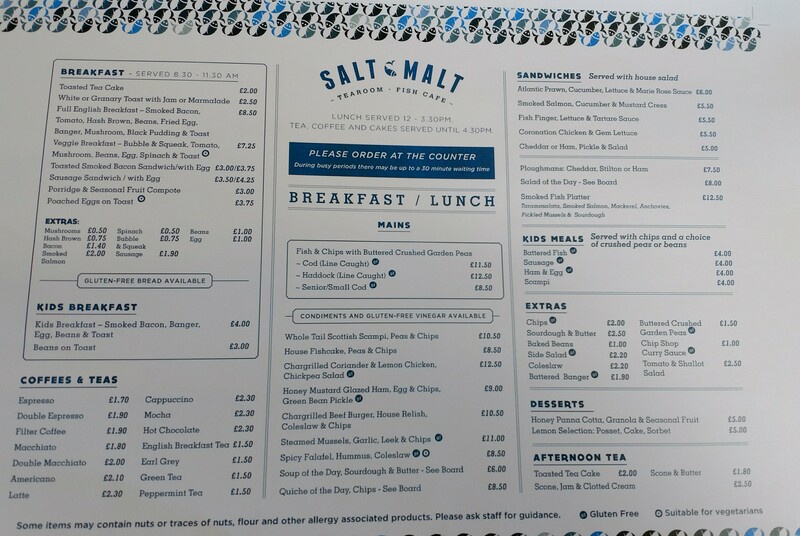 An interesting feature of the menu is that the majority of stuff on offer is gluten free, including the batter for the fish and, if asked for, even the vinegar (never occurred to me that vinegar could have gluten in it, but malt vinegar most certainly does). Where breading is used it is done in a standalone fryer to address the risk of cross contamination. Real attention to detail here, which must be a boon for those who suffer from gluten intolerance, but like fish and chips. Bearing in mind it is primarily a fish and chip gaff, it would be somewhat foolish (I thought) to eschew that option on the menu. 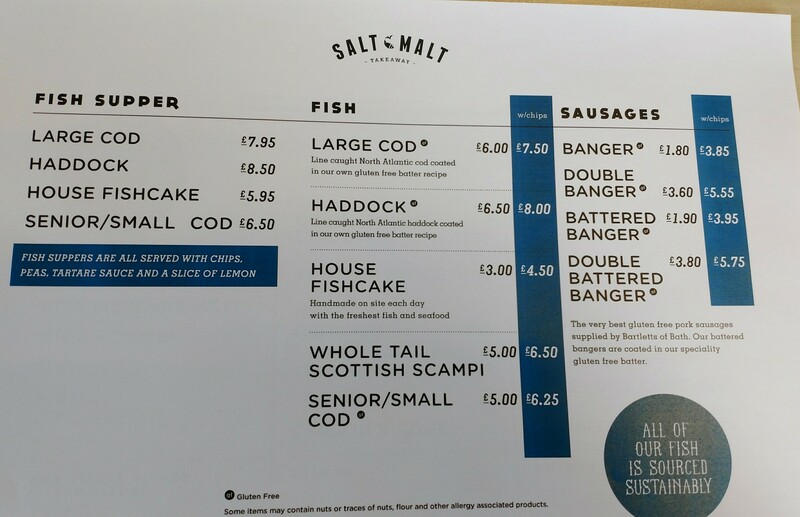 With the choice of cod (£11.50), haddock (£12.50) and scampi (£10.50), I wanted to try the (gluten free) batter here so that knocked the breaded scampi on the head. This left me with a straight choice between cod and haddock on the more limited lunch menu. 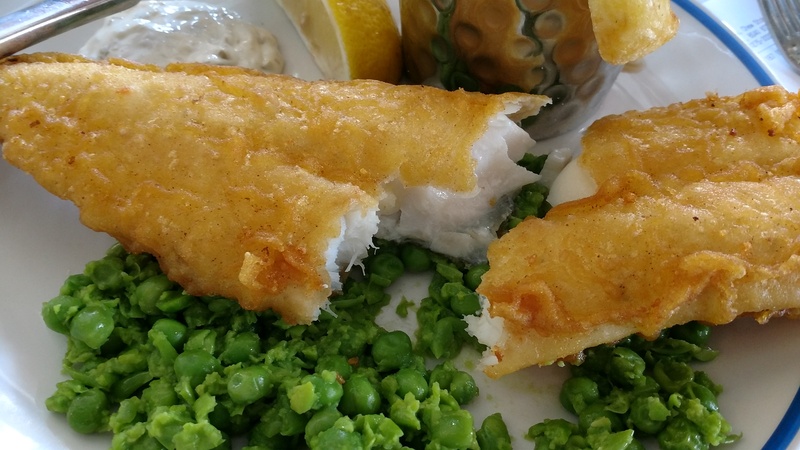 I tend to find the taste of cod and haddock pretty much indistinguishable (especially when cooked in batter) and with the cod being a quid cheaper than the haddock, the miser in me took over and I went for the cheaper option (as to two others). 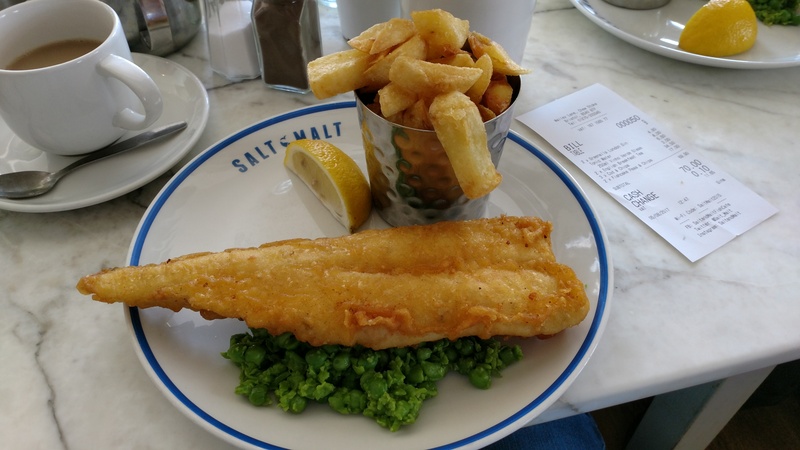 My cod came with chips and crushed peas (whilst I was a touch disappointed they weren’t proper mushy peas, at least they had the good grace here not to label them as such – take note Seafood Shack). The batter (no gluten) was oil free, with a lovely light crispiness to it. The fish was cooked just right, retaining moisture (from it steaming in its batter encasement) and a nice flake. All in all a great piece of fried fish. In terms of the chips, these were excellent. Crunchy on the outside and fluffy on the inside, as well as properly seasoned, they were all a good chip should be. The only slight disappointment was the crushed peas. These lacked seasoning and could also have done with the addition of some mint. Bit boring if am honest and not a patch on proper marrowfat mushy peas. Some really first class – lovely and tart – tartar sauce pepped up the peas no end. All in all a fine plate (yes on a proper plate, thank goodness) of fish and chip offering, as my empty plate testified. 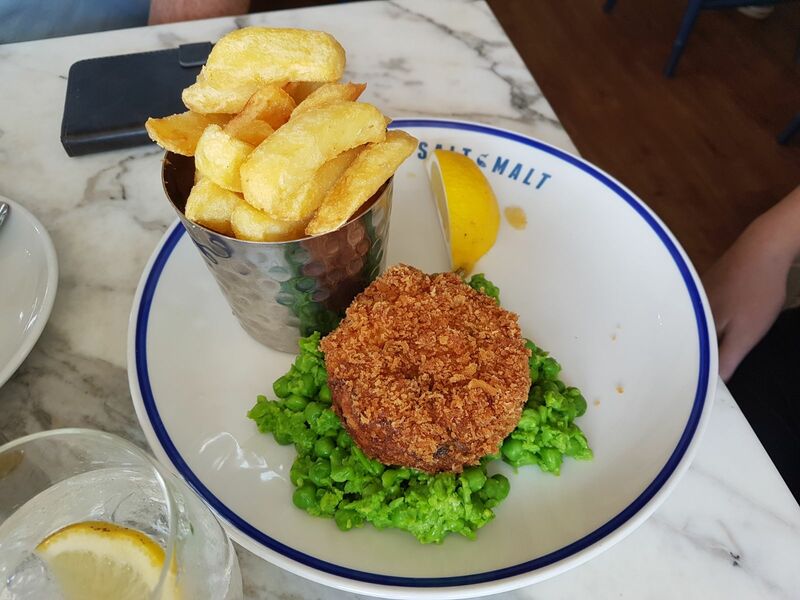 Others order the fish cake (£8.50 – again coming with chips and crushed peas). This had a nice crisp breadcrumb coating and a good fish to potato ratio in the filling. It was also (so I was told) nicely seasoned (fishcakes not properly seasoned can be very dull indeed). Decent size too. Puds are on offer, including a nice looking section of cakes. On the drinks front there is a selection of hot and cold beverages on the main menu. Booze wise they have some nice Butcombe beers and selection of nice beers from further afield (including at least one gluten free one). The wine list, whilst concise (nothing wrong with that as long as stuff on it is good), had a decent selection of wines that go with fish. 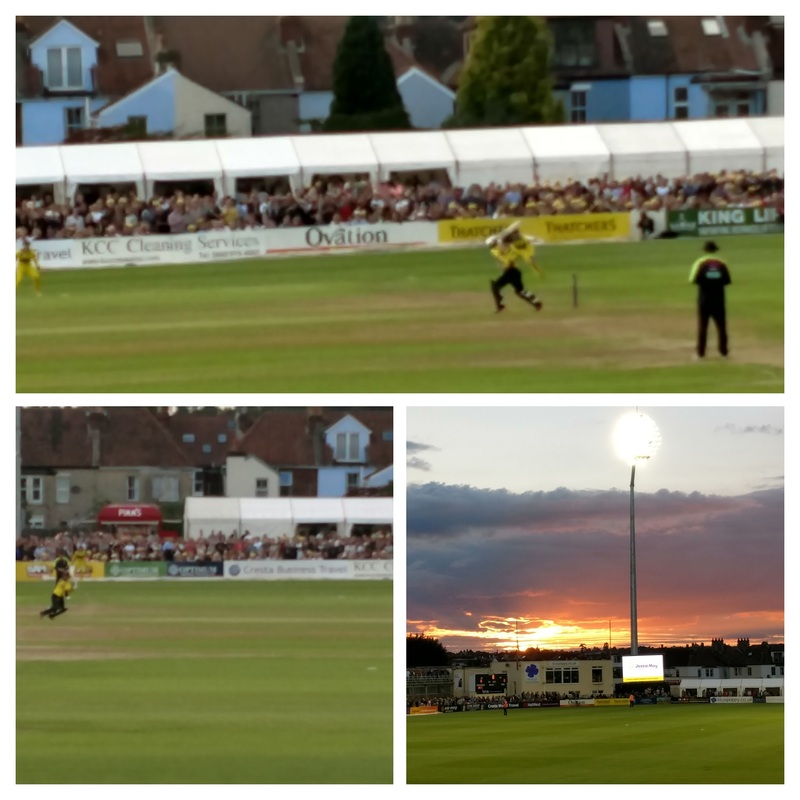 I was driving back to Cardiff so no booze for me regrettably (I am very partial to a glass or two of manzanilla, fino or even of fizz with fish and chip). The list provided some nice fish and chip friendly options in the form of a Vinho Verde, Picpoul de Pinet, a non oaked chardonnay and, hurrah, a manzanilla. Prices are par for the UK (regrettably) with the Vinho Verde, which retails at £6.58, £19 on the list and the Picpoul on at £21 (retails at £7.55). My joy at the La Gitana Manzanilla featuring on them list was somewhat tempered by the fact it came with a hefty (£18 for a half bottle and £5.25 for a mere 100ml glass) price tag. This is a wine which you can get retail (for a full size 75cl bottle) for less than a tenner. 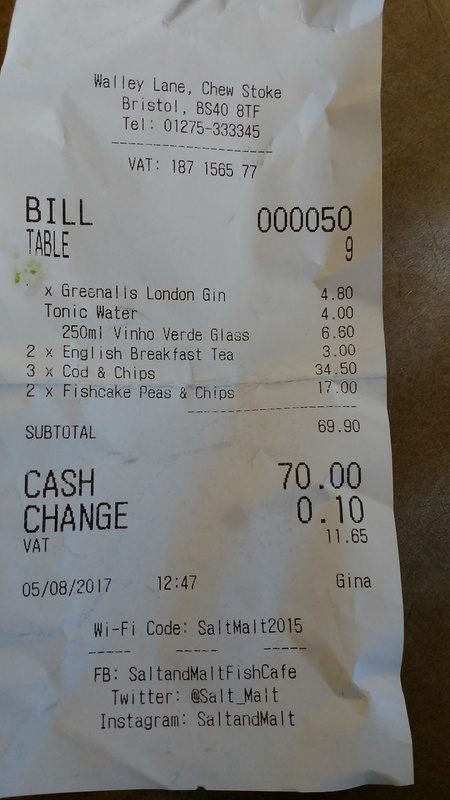 One of our party went for the Vinho Verde (£6.60 for a 250ml glass) and enjoyed it with the fish and chips they ordered. On the no booze front, I think a good strong cup of tea is by far the best pairing for fish and chips, so a cuppa it was in the form of an English breakfast tea (£1.50). Nice enough, but another one for the pot wouldn’t have gone amiss. Ordering is a bit of a faff with no table service. This means you have to go up to order you food and drinks. On a busy day that can involve queuing multiple times. Order food (inc puds if you want them) and drinks all at the same time is my advice. The food is very good and I thought, for 5 people, decent value at a smidgen shy of £70 including booze. Would I go back? 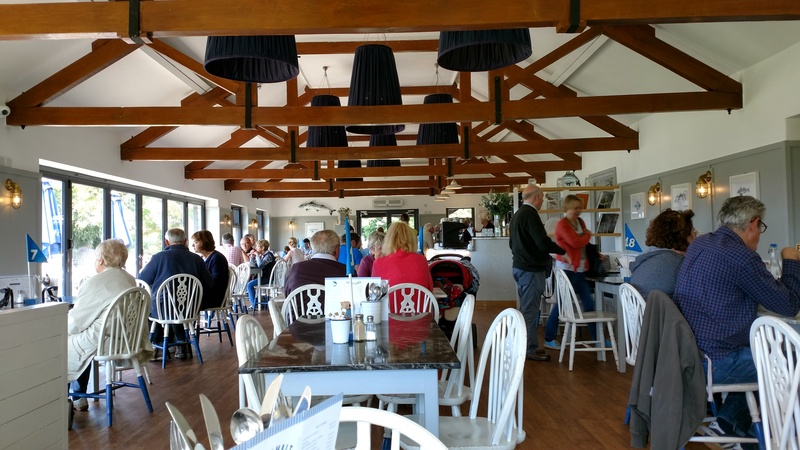 Yes – great spot for a very decent plate of fish and chips. 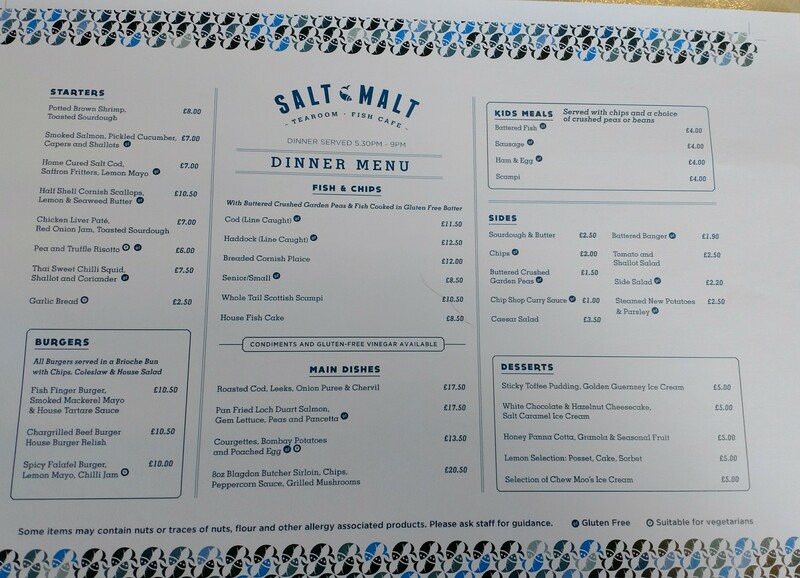 As a frequent flyer from Bristol Airport (a mere 13 minutes by car from Salt & Malt) this place is a very good option for food before or after a flight (so much better than the overpriced dross you tend to get at airports). 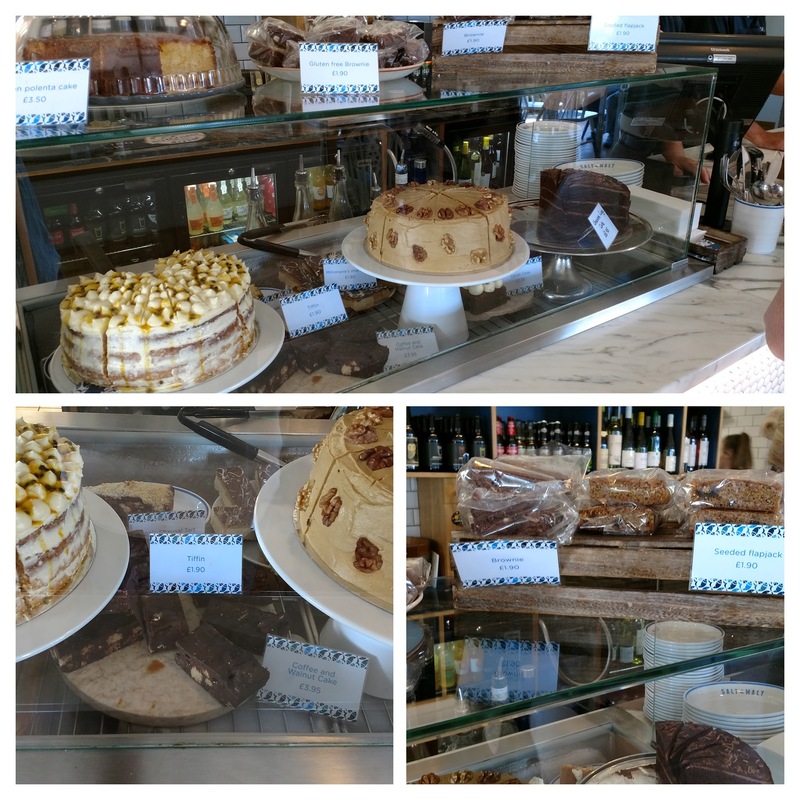 If you are in Bristol itself (a city where you really are spoilt for choice food wise) a second outlet has recently opened at Cargo in Whapping Wharf. Cargo 2, Whapping Wharf, Whapping Road, Bristol, BS1. 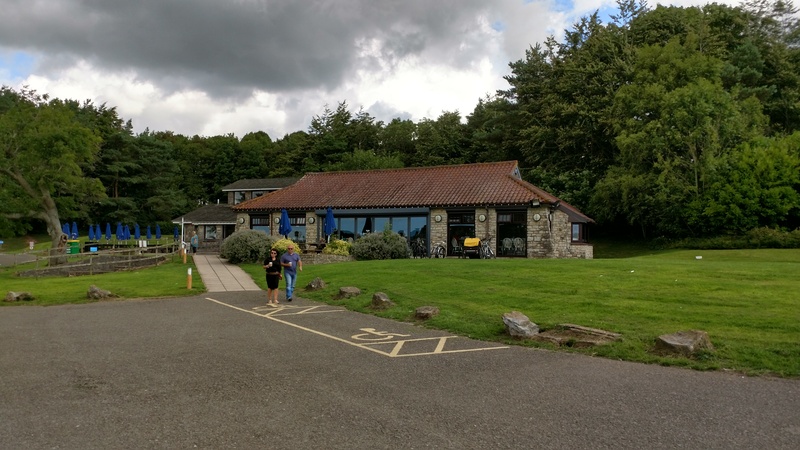 Breakfast: 08.30 – 11.00; Lunch: 12.00 – 15.30 ; Dinner : 17.30 – 21.00.
and you can eat it outside on picnic tables, with a lovely view of the lake if the weather is nice (or in your car in the carpark if it isn’t). 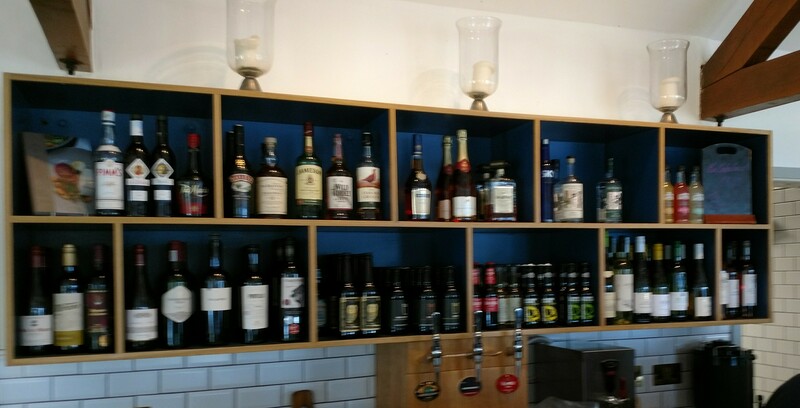 This entry was posted on Aug 6, 2017 by solicitingflavours in Alcoholic drink, Bacon, breakfast, Bristol, Bristol Airport, Brunch, burgers, cafe, coffee, Diner, Drink, Fast food, fino, fish, Fish & chips, Food, Food and wine products, Fried fish, Gluten free, Lunch, lunchtime, Michelin star, Non alcoholic drink, Outside Wales, restaurant review, review, Salt & Malt, seafood, Sherry, Take away, Takeaway, Tea, Uncategorized, wine pairings.